I've spent the last few months serving on an author's launch team for their new book. 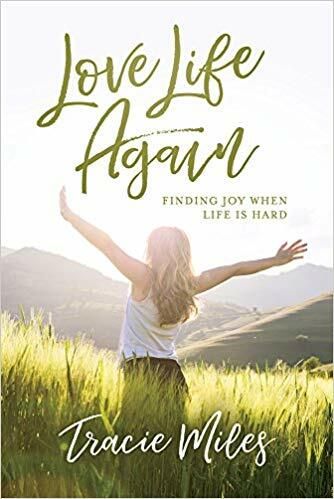 The author's name is Tracie Miles and her new nonfiction book Love Life Again: Finding Joy When Life is Hard, releases tomorrow (Wednesday, August 1)! Today, I'd like to share my review of her book and a nice meme that she created (see it toward the end of this blog post). Rarely do I read a book from beginning to end in one sitting. Oftentimes, I read a few chapters then start scanning for the main message. 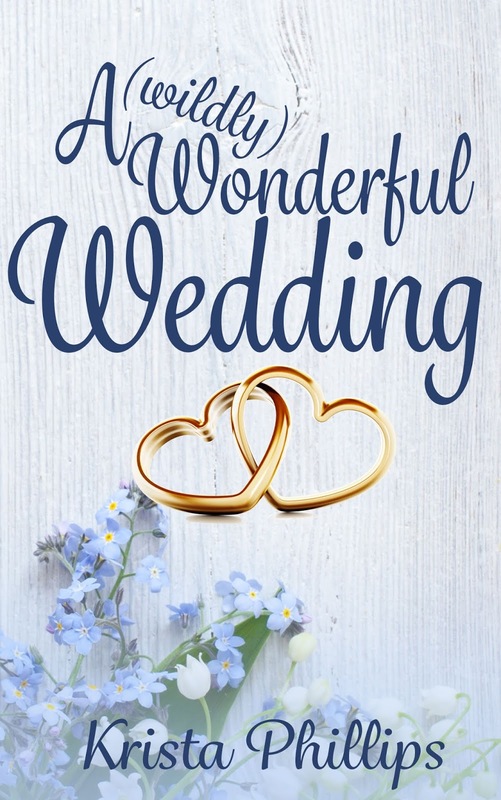 But Tracie’s writing commanded my attention from the Acknowledgements through the Conclusion and the stories in between really tugged at my heartstrings. Bible verses are intertwined into each scene shared from Tracie’s life in every chapter. A “Love Your Life Challenge” wraps up each chapter, complete with an imperative written in bold font followed by a reflection question which leads to a call to action, leading to a prayer written by Tracie for the reader and concluded by a short list of activities you can do to make you smile. 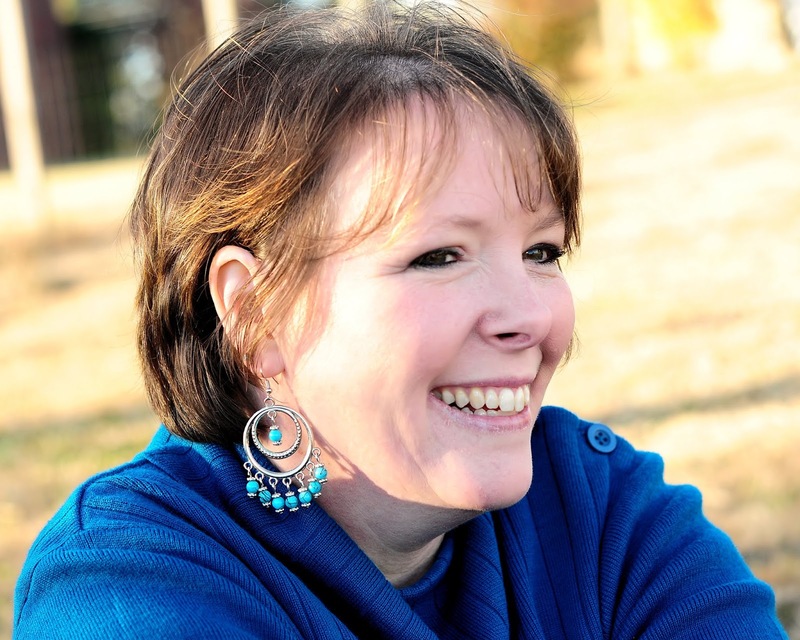 As an author, Tracie is very transparent in how she shares her heart. She’s unafraid to take you behind the scenes of her life from her dealing with the aftermath of her divorce, to a teachable moment on self-esteem that she shared with her daughter, to talking about a time when she was driving on the road and she felt God call her minister to a pregnant woman who was considered by most as what the Bible calls “the least of these”. Tracie also shares stories of other women that she’s known along the way. 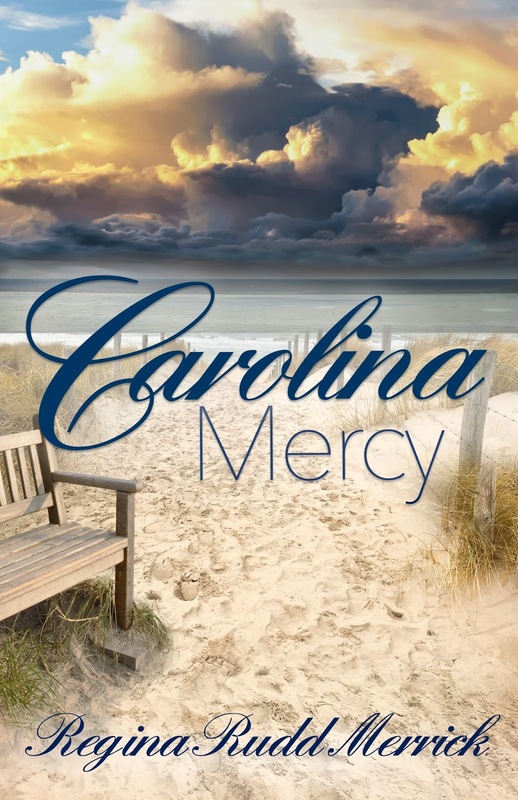 Each story that Tracie shares is touching and teaches a life lesson to the reader. Her writing style is warm in the midst of her personal heartache, informative like a news reporter, kind like the heart of a minister, and seasoned like a veteran creative storyteller. As a woman of faith, Tracie does not leave Jesus Christ out of the picture. She weaves in themes of salvation, hope, and healing throughout the book! It was delightful and very encouraging to my heart because she reminded me that God is with me no matter what I go through in this life. There’s always hope for your heart when He is in the picture…and the good news is, God I always in the picture. The Bible says that He will never leave you or forsake you even in your deepest despair. I truly enjoyed reading this book! Not only because it was hard to put down but because I related to so much of it. This book is well-deserving of a five-star rating and I’ve already thought of two people who I believe will benefit from reading it. Well, done Ms. Miles. Bravo! *I, (Alexis A. Goring), received a complimentary copy of this book (Love Life Again: Finding Joy When Life is Hard) from the author’s publisher for me to read. My opinions in this book review are my own. Her newest book is Unsinkable Faith: God-Filled Strategies for Transforming the Way You Think, Feel and Live. It was released in April 2017. She is also the author of two best-selling books, Your Life Still Counts: How God Uses Your Past To Create A Beautiful Future and Stressed Less Living: Finding God's Peace In Your Chaotic World. 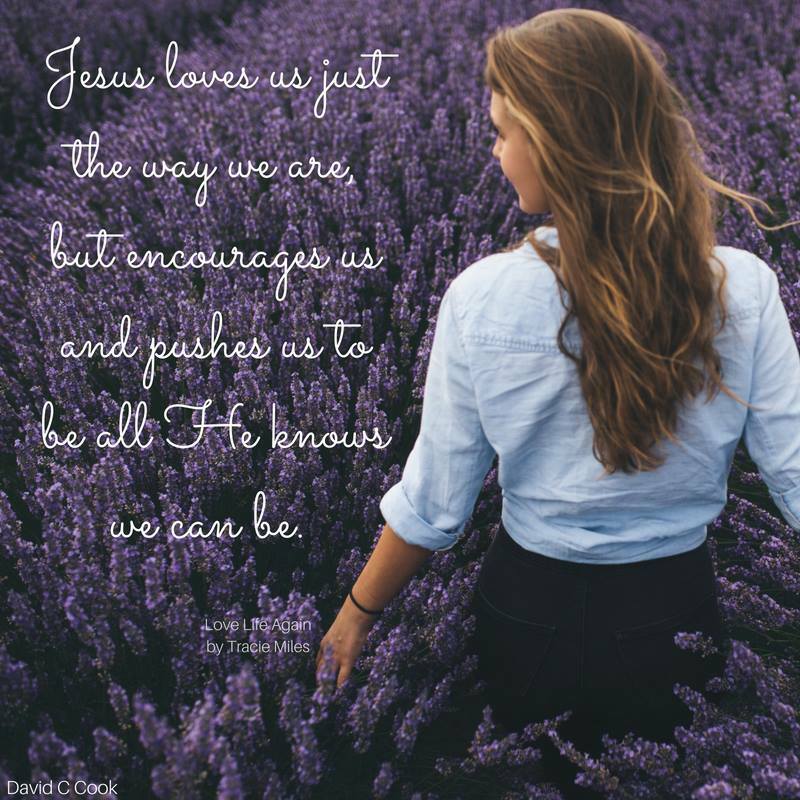 She is also a contributing author to the popular Zondervan NIV Women's Devotional Bible, and the Proverbs 31 Encouragement for Today Daily Devotional Book. 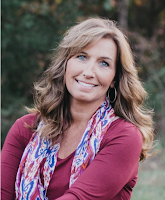 Tracie is a monthly contributing writer for the Proverbs 31 Ministries Encouragement for Today daily devotions, which reach nearly one million people per day around the world with encouragement from God's Word. 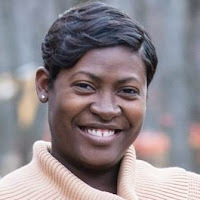 Connect with Tracie at her blog at www.traciemiles.com, or on any social media platform. I remember as clear as day the moment it happened. We were headed to the boys’ first day of school, joy and excitement in tow. Book bags and lunches packed, we began the commute to their new educational facility and new educational journey. Out of the blue, the car started to spin, and things began to go dark. I immediately asked my husband to pull over to the side of the road because I wasn’t feeling well. Concerned, he asked me what was wrong. I couldn’t speak. I began crying as I felt an increasing loss of control over my body. What was going on? Several doctor and specialist visits later, the words I heard gave me relief, but not answers. “We can’t find anything wrong with you,” the doctor stated matter-of-factly. “Have you been under any stress recently?” he asked. Of course I have, I thought to myself, I’m a wife, mother of three, student, entrepreneur, friend, and daughter along with probably five more hats I probably forgot I was wearing. I was exhausted just thinking about it. I simply admitted that there had been several major changes that occurred in our lives lately, and I just hadn’t slowed down to process them. I hadn’t slowed down. As followers of God, our goal is to have His nature replicated in us; part of having His character is following His example. Yet we often overlook one very important example He set. Rest. Intentional Rest. What had been missing from this very harried time in my life was rest. I always pushed it to the side, assuming I would be able to catch up on it during some unscheduled time over the weekend that never came. It became the ever-elusive carrot dangled in front of my face to keep me moving ahead. I had hit a brick wall, and my body was paying the price. We are not honoring the temples God has created and told us He would dwell in when we dismiss rest. I have finally realized that pushing myself to go past my limit is a form of selfishness and self-harm. It not only ignores the example set for us by God after creation, it perpetuates a harmful example for our children and others in our sphere of influence with whom He has entrusted us. 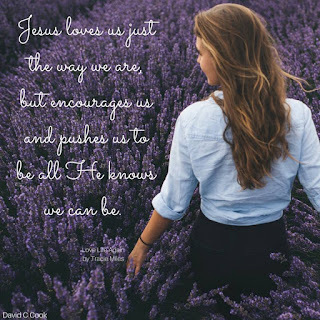 I believe with my whole heart that rest is where we commune with God and solidify our relationship with Him, and I must admit, the times where I have rushed a hurried life along are the times where I feel the most disconnected from Him. Today, I am making more time to rest. Physically, mentally, and spiritually. I pray that you too will join me and do the same. Krista: I was having a conversation with friends about weddings, marriages, and boyfriends. One of us was single but dating and some were giving advice not to rush, take your time and I was like, well, I agree with that. But at the same time, I had only seen my future husband three times before he proposed, we got married four months later and we had met online. We have been married for almost 19 years now. So going quick isn’t always a bad thing. 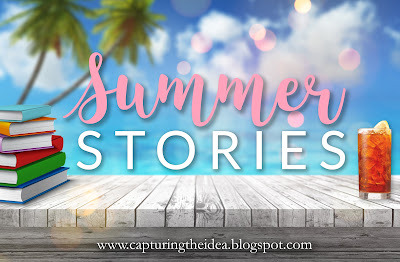 The whole conversation sparked a story in my head for these characters that were already tip-toeing around in there, and the rest is history! Alexis: Tell us about your story’s heroine Danielle. What’s she like? Krista: Danielle has some rough edges. She was raised in a super strict, legalistic household and had done some serious rebelling as a teenager that almost killed her. She came to Jesus in college, but still struggles as old habits aren’t easy to break, but is also working on forgiving her parents and the boy who broke her heart five years ago. Alexis: Tell us about your story’s hero Drake. What’s he like? Krista: Drake is a pretty easy-going guy. He co-owns an audio-visual company with his best friend. His work consumes him much of the time. He got serious about his faith a few years ago and has one pretty big regret in life—how he left his fiancée in the dust—via text message five years ago. What a jerk he’d been! Alexis: Five years prior to the start of this story, Danielle and Drake were a hot item. What went wrong? Krista: I’m not sure anything really went “wrong” per say. Drake got cold feet and decided that he wasn’t quite ready for marriage. But he dumped Danielle in a pretty jerk-ish way. But in hindsight, they weren’t ready for marriage, and both had some serious growing up to do. Alexis: Now that Danielle and Drake are reunited (five years later, at the start of your story) as the maid of honor and best man at their best friend’s upcoming nuptials, how do they feel? Krista: They are still pretty steamed at each other—at first. Alexis: Why do Drake and Danielle believe that they have to team up to prevent their best friends’ wedding? Krista: Drake isn’t convinced at first, but Danielle wants to prevent her friend from making the same mistake she almost made five years ago. Alexis: Is there a real-life lesson that you hope to teach your readers in this fiction story? Explain. Krista: Honestly, when I write my stories, I don’t think necessarily in “lessons” my readers will learn. I believe God can use stories to encourage us in our walk with Him, and I hope that same thing for this book. That will look different for each person, as a story can impact people differently. I guess if I had to give a specific answer, I’d say that readers will see that no one is beyond God’s grace, that God can use our fumbling mistakes for good, and that just because God calls us to something doesn’t mean he calls everyone around you to the same thing. Alexis: What role does the faith of your main characters play in this story? Krista: Both Drake and Danielle are fairly new to their faith after having rekindled their love for Jesus a few years prior. Their new faith allows them to see how God has used the disaster five years ago to bring Him glory. Alexis: How does your viewpoint as a woman of faith affect your storytelling? Krista: I love Jesus. Pretty simple as that. 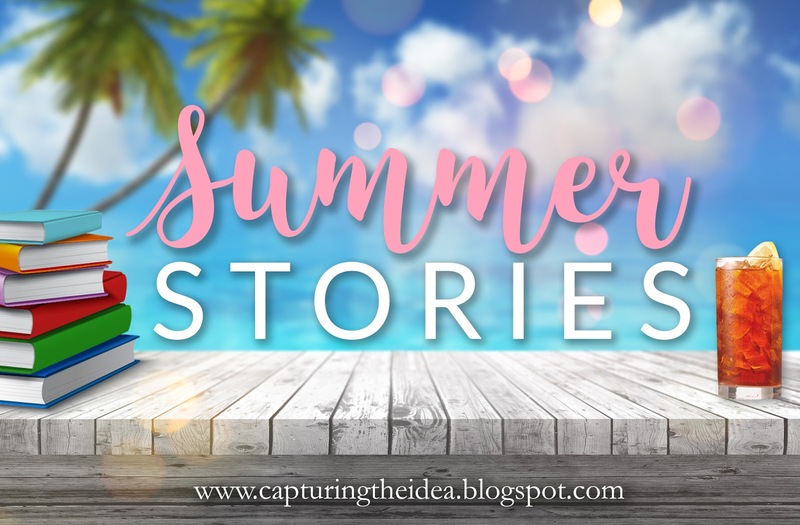 I aim to write my stories to bring him glory, just as I aim to do so in all facets of my life to do that, whether it is my day job or simply going to the grocery store and being kind to those around me and showing them Jesus’ love. I think if you are a born-again believer, that can’t help but influence our storytelling, as we are a “new creation” in Christ and don’t think as we did before, therefore don’t tell stories as we did before. That looks different for everyone. Alexis: If you could grab coffee with Danielle, what would you order and what would you as a married woman advise her as she considers giving Drake a second chance? Krista: Summer = something strawberry, non-coffee and cold. Winter= hot chocolate! My advice? I’d tell her that forgiveness is fabulous, and that they are both two new people now since they’ve found Christ. Take it slow, date, get to know the new Drake, and see where God takes you. Alexis: Thanks for the interview, Krista! Do you have any closing comments? Krista: Thanks for hosting A (wildly) Wonderful Wedding that is in the Once Upon a Laugh box set! I really appreciate it! Krista Phillips writes contemporary romance sprinkled with two of her favorite things, laughter, and Jesus. And sometimes chocolate for kicks and giggles. 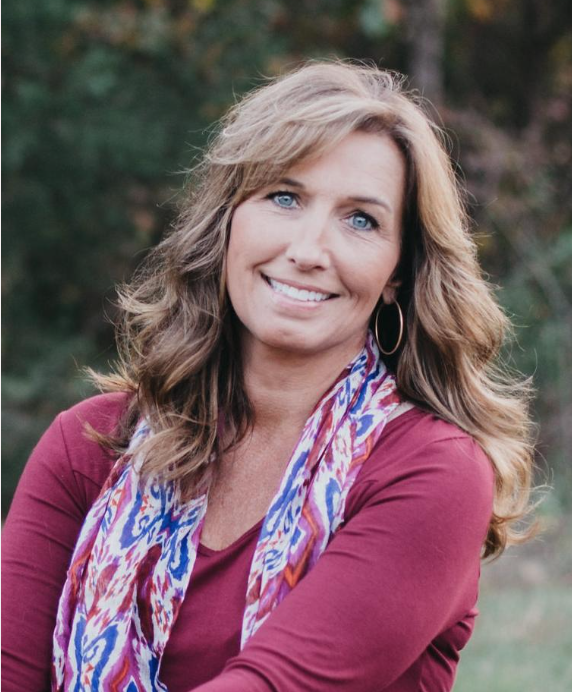 She lives in Middle Tennessee with her husband and their four beautiful daughters, and is an advocate for congenital heart defect and organ donation awareness. Visit her online at www.kristaphillips.com. The fifteenth chapter of John used to baffle me. What did “abide in Me” mean? If I could just figure that out, I’d be set. But the instructions seemed so contrary to my natural bents. I read these verses in awe and puzzlement. How could I abide in One so holy, so mighty? Let's read John 15:4-6 (KJV) together: "Abide in me, and I in you. As the branch cannot bear fruit of itself, except it abide in the vine; no more can ye, except ye abide in me. I am the vine, ye are the branches: He that abideth in me, and I in him, the same bringeth forth much fruit: for without me ye can do nothing. If a man abide not in me, he is cast forth as a branch, and is withered; and men gather them, and cast them into the fire, and they are burned." Decades have passed, and I’ve realized how the short book of First John clarifies this concept of abiding. Basically, it’s about living in love, living in God, and allowing God to live in us. Living in becomes a bit clearer as the years go by, too. It means a friendly relationship and camaraderie (mutual trust and friendship among people who spend a lot of time together). Since my husband and I celebrated our fortieth wedding anniversary in May, we’ve both learned a lot about this concept. Living in implies listening, asking, receiving giving, honoring, waiting for, considering the desires and wants of another. And waiting. Yes, waiting for the other to reveal their wishes, desires, and passions instead of trying to force events to happen. Ah, waiting. Don’t we just love that? No wonder this idea felt so unnatural to me in my early twenties, when my driven nature, grounded in shame if I failed to perform, railed against allowing things to unfold in due time or embracing the moments as they appeared. No, I had to plan, protect, research, and always be at the ready. I had no clue what “going with the flow” meant. In short, I was a control freak, although I never would have admitted to it. I thought I was just doing my best to obey, and being as loving as I could. I didn’t realize my rescuing and fixing efforts often robbed my loved ones of chances to explore their own emotions and learn from their mistakes. Thankfully, time gives experience and tempers our natural instincts. It’s fruit season where I live. We’ve been getting blueberries for some time. The peaches are ripening. The apples, cherries, plums, and blackberries should be available in the next few months. Everything in its season. We have several trees that have died or are diseased. And just like the verse above, we trim them back every year and remove the diseased or dead parts (or rather my husband does). This allows for the healthy branches to get the needed nutrients and produce the best fruit. Stay with me for a moment, because you might be saying that this verse doesn’t say anything about fruit, but you’d be wrong. The word translated grain here is the same Greek word for fruit (karpon). And because I am a lover of words, here's the explanation: "Karpon" means "fruit, result or gain". Generally, it’s talking about vegetables/fruit or animals, but it can also mean deeds, actions, results, profit, or gain. Figuratively (which is what I’m discussing here), it refers to the things we do with Christ. It’s about a believer being united with Christ, allowing His life to flow through ours to yield eternal fruit. This is the definition from BibleHub.com. I heard a sermon recently about this topic. It prompted this post, actually. The pastor said that for us to have the fruit of the Spirit, we must first have the seed of the Spirit. Just as in this realm, that seed takes time to grow. It needs to be watered and fed by the Word. It must be tended. It doesn’t happen overnight. We grow in love, joy, peace, patience, kindness, goodness, faithfulness, gentleness, and self-control. Just as some fruits take longer to mature, so do some of these fruits. He also pointed out that there is no law against any of these fruits. They are all there for us to grow in and bless others with. No one is going to complain (or at least they shouldn’t) if you love them or have joy or are peaceful, or exhibit kindness, or...or...or. You understand. Without Him, I cannot produce fruit. 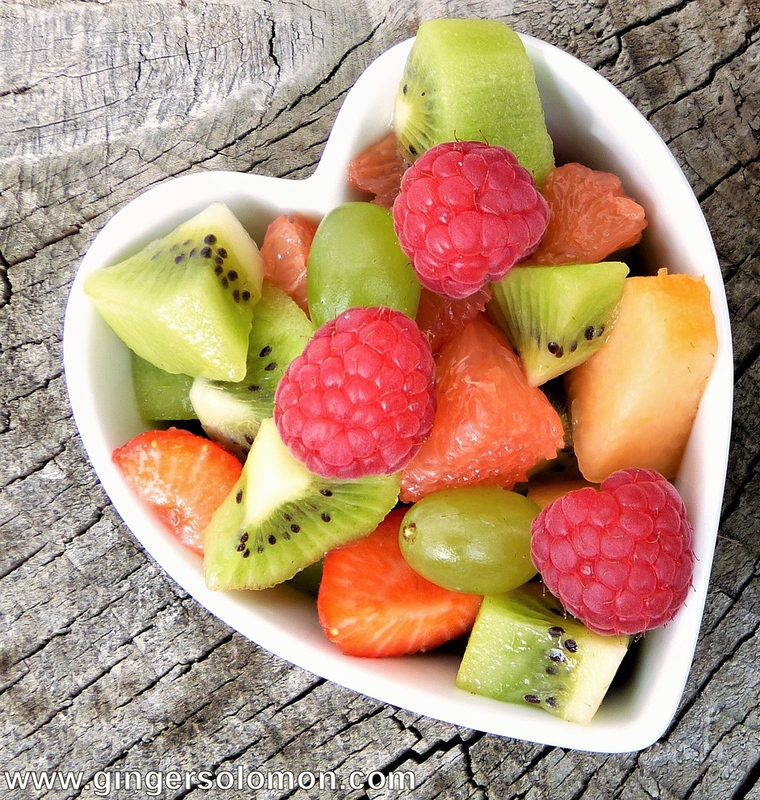 And now the hard question, one that I struggle with in my own life: What does your fruit look like? Is it withered or rotten? Are you tending the seed of the Spirit? *All Bible verses mentioned within this devotional are from the English Standard Version of The Holy Bible. Sitting cross-legged on the floor with the other eight-year-olds, I watched as the Sunday School teacher placed cutout figures on the felt board. Menacing soldiers held spears at the ready. Pagan-looking priests surrounded an altar. A king and a queen, dressed in purple robes and golden crowns, carried rich gifts for an idol. A white-bearded man, out-of-place in worn shepherd’s garb, pointed an accusing finger at the king. I loved that exciting story—Elijah fed by ravens, the widow and her son sustained by the never-ending flour and oil, the boy raised from the dead, the fire from heaven, and after three and a half years of drought—RAIN! Elijah was as staunch and unflinching as any action-adventure hero. And when he prayed, God answered—in miraculous, awe-inspiring ways. I’m inspired by his dramatic spiritual victories, but I’m just an ordinary person—flawed, selfish, and often cranky. How can I expect my prayers to have the kind of impact Elijah’s did? Comparing yourself to another person’s success is never helpful. Praying down fire from heaven isn’t God’s plan for me, but he’s made clear I should pray for family, friends, enemies, leaders, the poor, the sick, and others he brings to mind. I should ask the Lord to make me a better person and thank Him for everything. Notice that James says Elijah prayed “earnestly,” There was some quality to the manner of Elijah’s prayer that was especially sweet to God’s ear. The dictionary defines “earnest” as sincere and intense, steady, committed, wholehearted, fervent, deeply felt. Elijah demonstrated all these qualities in his life as well as his prayer. Elijah lived his life strictly by God’s revealed will. God said, “Go east and hide by Kerith Brook,” and Elijah went. “Drink from the brook and eat what the ravens bring.” No problem. “Dwell with the widow woman in Zarephath.” Done. When God told Elijah to show himself to Ahab, Elijah went. He didn’t shrink from that unpleasant duty, even though the king had been seeking him with evil intentions for three years. Elijah was the Lord’s servant. He was all in. · At the time of the evening sacrifice, Elijah ‘came near’ to the altar—though he was expecting an answer by fire! What faith in God’s power and protection! · Elijah wasn’t afraid to remind Yahweh of His covenant with the nation of Israel, boldly addressing Him as “Lord God of Abraham, Isaac, Israel.” For us today, a covenant relationship is the privilege of a believer to plead that relationship, to remind God that we are set apart for Him because of the blood of Jesus. · Elijah’s first request was to glorify God: “Let it be known that you are God.” His second was that the people would know the Lord and come into a right relationship with Him. The prayer on Mount Carmel reveals Elijah’s strong faith and his life’s purpose—to serve God, glorify his name, and bring people to Him. This is the kind of prayer that gets answered. Do you ever feel you’ve made a mess of things and have no right to bail you out? God wants to answer your prayers too. Don’t be afraid to seek Him! Other posts about the prophet Elijah ~ Love in the Time of Drought, In the Waiting Room, A Widow, a Prophet, and Provision from God, An Intersection of Time and Eternity, and Ways to Handle Drought, and On the Mountaintop. Note from the author: Hello, everyone! I’m Cindy Ervin Huff and I’ve brought along a couple I’d like you to meet. 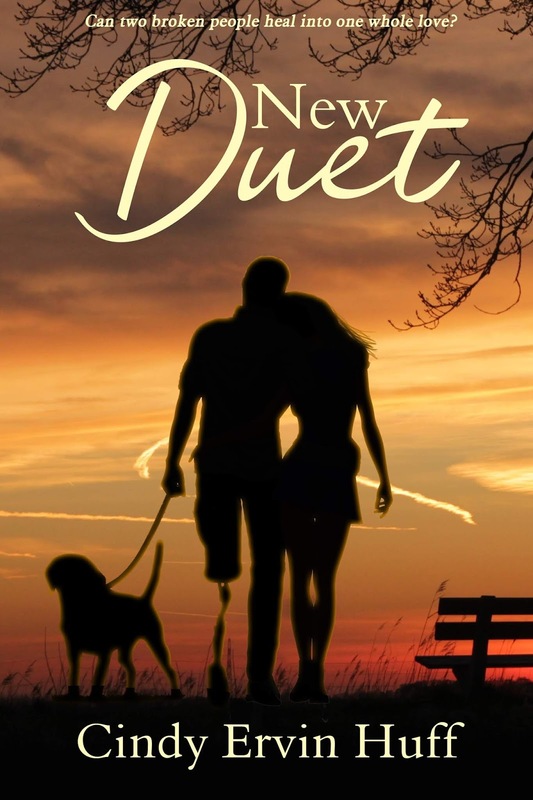 Isabella Wilson and Dan Sweeney are the main characters in my contemporary romance, New Duet. 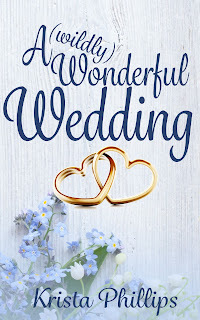 My book is published through Clean Reads and is garnering 5-star reviews on Amazon.com. Let me introduce my petite Hispanic heroine, Isabella Wilson. She’s a transplant to my setting in Aurora, Illinois. Cindy: Isabella, share with the readers a bit about your background. Isabella: I was born in Nicaragua and spent time as an orphan on the streets. I can’t recall my mother, but I do recall a sweet voice that made me feel safe. I was six when the Wilson’s adopted me. My sister Ming was adopted from China. She was part of the Wilson family three months before I joined them. There was a mix up with my paperwork, and it looked to my parents like the adoption wasn’t happening. They applied for Ming. And when my paperwork was sorted out, they had two daughters the same year. Ming was three. We spoke a combination of Spanish and Chinese the first year. When I was in junior high, my parents went on a mission trip to Haiti and fell in love with a young teen. They adopted Henri when I was in eighth grade. He was my age. The three of us always got funny looks from students when my dad’s job moved us to a new school. Ming told everyone she and I were twins. She sounded so sincere, people believed her. She is the humorous one and the most caring. I have two older siblings, Ken and Carla. They are my parent’s natural born children. Carla was a great big sister and Kenny was your typical big brother—a pain. My parents encouraged all of us to follow our dreams. Mine was to be an artist, so I attended the American Academy of Art in Chicago. Not until I moved to Aurora did I really come into my own as an artist. Cindy: My wounded warrior hero, Dan Sweeney, is up next. What was your childhood like? Dan: We didn’t stay in the same house very long. Dad couldn’t keep a job or keep off drugs. Great-Uncle Paul helped my dad recover. Our family stayed in Aurora and started attending church. My sister married, and then my parents were killed by a drunk driver the summer after I graduated from high school. Most of my college funds went to pay their debts. After a year in college, I decided that I’d rather make a career of the army. My sister invited me to stay with her. But we were never that close. After the accident that ended my military career, I came back to Aurora and settled into the house I was rehabbing and started back to college. My best friend Steve and I reconnected. And my service dog Brutus has made my life a lot easier. Cindy: Tell us a bit about Brutus. Dan: Even though I tell myself I don’t need a service dog, I do. Brutus keeps my panic attacks at bay reducing my need for meds. He helps me if I fall. Super dog, Brutus knows how to perform tasks beyond my needs, which is at times annoying. He was trained for a boy with severe disabilities who died. Brutus has bonded with me. He seems to know my thoughts. He’s a great companion but his manners around women need work. Cindy: Isabella, back to you. Why did you move to Aurora? Isabella: Well, it’s complicated. Much of that story is in the novel. Briefly, as a widow, I needed to start over in a new place. My sister Ming had moved to Aurora a few years earlier at the suggestion of a friend. I moved in with her and started over. It was hard finding my true self again. Exploring the art community in Aurora and with help from some great friends, I found my art muse and grew in my faith. Cindy: What was your first impression of Aurora? Isabella: I’m not in Iowa anymore. Although my family moved a lot growing up, the three of us would spend the summer with our grandparents. They lived in a small farming community. I have fond memories. My late husband and I lived in Indiana, but the atmosphere was quite different from Aurora. It has a population over 200,000 and lots of interesting things to see and do. Ming took me on a tour and showed the sights. I loved exploring the downtown on my own. There are museums and art galleries and fun restaurants. Cindy: Sounds like you have adapted well to your new hometown. Now we’re shifting directions a bit. What is your biggest fear? Isabella: Not being good enough. When I was first adopted, I felt unworthy of these wonderful people. It took me years before I believed all their words of affirmation. After I married Ron, he reminded me daily how I fell short. His sudden death fed that feeling of unworthiness. It took me a long time to release all the guilt others had put on me, not to mention the guilt I put on myself. Cindy: Dan, same question for you. Dan: Not being normal. I know that sounds pretty lame. Being physically lame is awkward. People focus on my prosthetic and treat me different. And as much as I struggle with it, there are things I can’t do well. One being walking up fifty stairs to visit Isabella. It’s humiliating to go down on my backside, so I don’t fall. I refuse to get a handicap sticker even though it makes things harder for me. I guess I’m like Issy in a way. Her remark about feeling unworthy really hits home. Cindy: How’s your social life, Dan? Dan: You sound like Steve. He grilled me on it hard one day. He even tried his hand at matchmaking. And I’m not saying anymore, ma’am. Any further reference to my social life is on a need to know basis. Only those who buy New Duet will be upgraded to need-to-know status. Cindy: Clever, Dan, very clever way not to reveal too much of the plot. Cindy: Isabella, tell my readers why they’d want to read your story. Isabella: New Duet is about broken people finding love. A simple statement with a powerful message of hope and renewal. God loves healing broken people. It’s more than a simple love story because life is complicated. But complicated is much easier to unravel with the right person. The book is available on Amazon.com, Barnes & Noble and your local bookstore. Just ask the clerk to order it. It’s also available in e-book. Cindy: Thanks for joining me as a guest on God is Love. Thanks, Alexis, for having us. 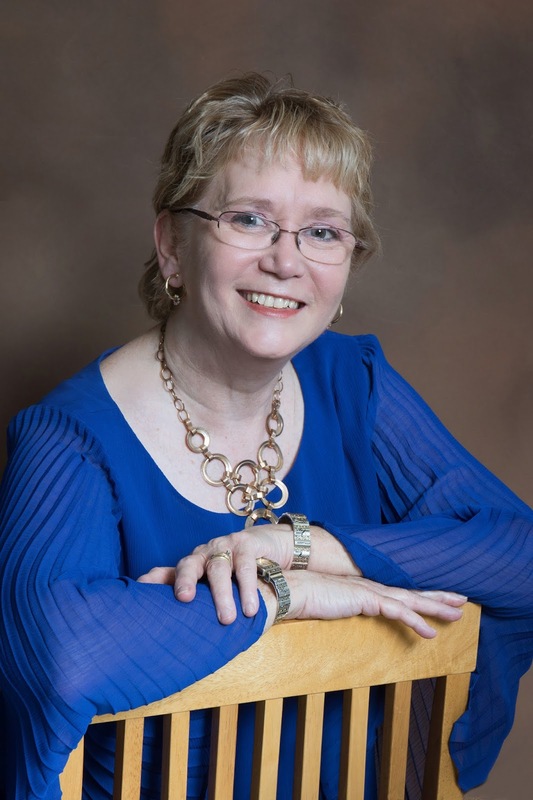 Cindy Ervin Huff received the Editor’s Choice Award for her debut novel Secrets & Charades, published by Lighthouse Publishing of the Carolinas. Secrets & Charades placed third in the Maxwell Awards and first place for fiction Serious Writers Medal 2018. 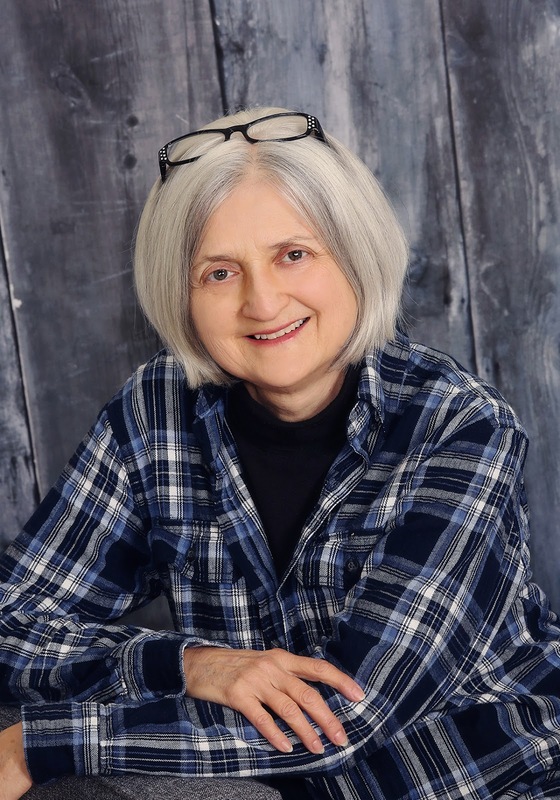 Cindy is the founding member of the Aurora, Illinois chapter of Word Weavers and a member of ACFW. 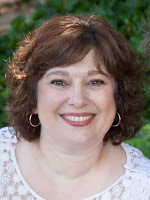 Her blog Jubilee Writer offers writing encouragement to all newbies, especially those starting later in life. Isabella Melinda Wilson has been squeezed into the music ministry model of her controlling husband’s making. Before she can leave him, he leaves her a guilt-ridden widow. Her mother-in-law is no comfort and presses the guilt button at every turn. Isabella flees to her sister’s home in search of her own identity and a new beginning. I’m all for celebrating life and have no problem with aging, really, I don’t. Okay, turning 35 knocked me for a loop but that was a long time ago. The thing is, I used to look at pictures of my aunts, uncles, and my mom and dad when they were young adults and wonder how they could have changed so much. Now I look at a recent picture of myself and see that I have arrived. Who is that anyway? Even though I turn that frown upside down, and watch my face brighten, I contemplate putting in a dimmer switch. And maybe a new beauty regimen. I saw a line of products the other day that were ‘pro-aging’ instead of ‘anti-aging’. A different spin but one I definitely like the sound of. It’s positive and encouraging, and I’ll take all of that kind of thing I can get. Did you know the best beauty regimen is to spend time with Him who renews the best part of us, our soul and spirit? Our soul, the life essence of our being, and our spirit, the part of us that connects with God. Every single moment we spend with Him praying or in His Word, we are being renewed and shaped slowly and wondrously to be more like Him and to be the person He created us to be. The person you were before the world or circumstances told you who to be. Too busy you say? I used to be as well. Or so I thought. Struggling with sporadic Bible reading, with a devotion here and there, a good friend suggested I ask Him to show me when would be the best time in my busy schedule. I wasn’t sure how He would show me but okay, guess it couldn’t hurt. Summer hours at work meant I clocked in at 6:30 in the morning. My routine was to shower the night before, crawl out of bed at 5:30 in the morning, grab coffee and breakfast, make my lunch, dress and go. The morning after I prayed for Him to show me, my eyes popped open before the alarm went off. I shut them tight trying for a little more precious sleep, but it didn’t work. My mind raced, was today something important? What was I forgetting? The clock read 5:15 a.m. and I felt an urgency to get up. I washed and dressed before I poured coffee this time. Checking the clock, I saw time to spare so I sat in my favorite chair and sipped the wake-up brew thinking over what it all meant. When I spied my bible and devotional next to my chair, I knew! Why should I be surprised? I asked and He showed me! And do I even have to tell you that my day was so much more meaningful, so full of Him? It’s been over 12 years since then and what a beautiful habit it’s become. I look again at my reflection in the mirror and sure, I see an aging me, but I also see a daughter of the One True King, my life with Him is what I proudly wear etched upon my face. Can you see my smile? 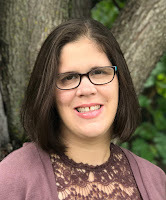 Writing has always been a passion but raising a family, running her sewing and design business, involvement in women’s ministry and teaching Sunday School has kept her plenty busy. 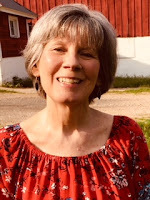 Now retired and an empty-nester she trusts in God’s amazing timing and has jumped in to embrace this new adventure of writing. Her first book is for children and will soon be released. It's the first in a series of real-life adventures focusing on the fruit of the Spirit. She grew up on both the East and West Coast. But now, she calls the beautiful state of Wisconsin home. She’s a wife, mom, and grandma to 10 children. 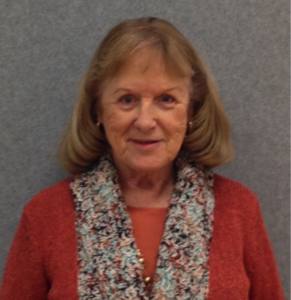 Susan listens to a wide variety of music, loves live performances and believes that laughter is the best medicine. She’s a proud member of American Christian Fiction Writers (ACFW). Because of Christ’s sacrifice, we are abundantly free. Free from our imperfections. Free from our guilt. Free from the constant demand to “live up” to unrealistic standards. Let me paint a picture of freedom. Many years ago when I was a young mother, my kids and I had a really bad day. I was unkind. Mean even. And then I felt awful! Shocked by the pain in their precious eyes, I gave myself a timeout—only it wasn’t a healthy one. Instead of confessing to the Lord my shortcomings and accepting His forgiveness, I wallowed in self-loathing. I hated the way I acted and felt I didn’t deserve His grace. I couldn’t forgive myself. In the more distant past, I would have wallowed in guilt for days. But praise be to God for His marvelous grace, He’d begun breaking that cycle within me. I was growing in my ability to understand that since Christ took my sins upon Himself, and I was covered by His righteousness, I could live a life without condemnation, even during my failings (Romans 8:1). The happy ending of that hard day is that I cried out to the Lord to help me, and He did. My emotions calmed. I went to my children and asked their forgiveness. Then an amazing thing happened. My oldest son, then about ten-years-old, ministered to me. I don’t remember what scriptures he spoke that day, I only know they were led by the Holy Spirit, and they offered God’s heart of forgiveness. Soon all four children and I piled up together. We forgave each other, ordered a pizza, and watched a movie. If you ever are tempted to punish yourself when you blow it, please consider this: Christ died so we could have forgiveness. He took our punishment upon Himself. He doesn’t want us to penalize ourselves. Scripture says He didn’t come to condemn the world, but to save it (John 3:17). He took our life of failings upon the cross and replaced it with the perfect and complete freedom to enjoy His grace. As I’m learning to rest in the grace of Jesus, there’s a beautiful side effect. God is changing me into His image. I’m still not perfect, of course, but as I accept the gift of the cross—freedom from the judgment and punishment of my misdeeds—some of the old junk I struggled with is simply dropping away. Won’t you join me, my precious friend in Christ, in accepting the abundant freedom of His grace? My Prayer: Jesus, thank You for the deliverance and salvation that comes through Your blood. Your gift of forgiveness, the remission of our shortcomings and trespasses, is an example of the generosity of Your gracious favor. Empower us to walk in the freedom of Your grace. *Note: My prayer is a paraphrase of Ephesians 1:7 in the Amplified Version. Paula and her husband, Jerry, are adjusting to a sometimes-empty nest in Colorado. 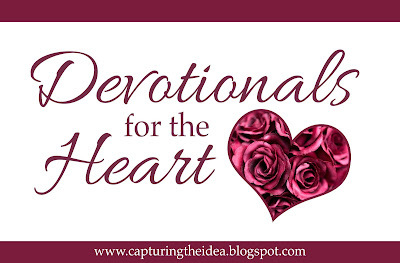 Today’s devotion was adapted from her devotional book, Soul Scents: Bloom. Watch your calendar because you can download Soul Scents: Bloom for free to your Kindle on July 24 and 25! Or sign up for Paula’s newsletter at www.paulamoldenhauer.com for updates on these free days and to get a weekly Flourishing Moments devotional. 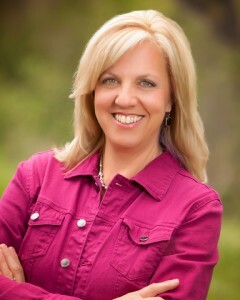 For daily Flourishing Moments "Like" Paula’s author/speaker page on Facebook. Here's the link, https://www.facebook.com/PaulaMoldenhauerAuthor/. Don’t Nurse It. Don’t Rehearse it. Let it go. I cannot tell you how much time I’ve spent looking in the rearview mirror of my life and questioning why God didn’t answer my prayers. I have been so myopic over the hairline fractures in my life that I was blinded to what God had for me. There was a season where it seemed every sermon I heard dealt with past offenses and forgiveness. It took me over a year before I got it! You cannot see where God is leading when you’re looking backward. I can see now how God had things He wanted to get to me, but I was too dumb to receive them and beyond stubborn to forgive, which would have enabled me so I could. When one is betrayed it opens one up for a tremendous propensity to not forgive and to become a martyr. I kept the pain of my betrayal hidden, or so I thought. I absolutely refused to give it up. It was my pain and I reveled in it. In the midnight hour I would rehearse the pain over and over, sometimes I mentally plotted revenge. I had imaginary conversations with my betrayer that I could never have had in reality. Somehow these nighttime scrimmages lent a measure of relief from the continuous pain I lived with. Make no mistake, betrayal is toxic. Unforgiveness is unhealthy and it kept me tied to the one I had been hurt by. Until I was willing to confess my unforgiveness and pray a blessing over those who had hurt me did I finally have peace over the pain of betrayal. I was stuck in my own misery. We have to be mindful of the necessity of forgiveness. In Matthew 6:15 (KJV) Jesus said, “But if ye forgive not men their trespasses, neither will your Father forgive your trespasses.” He couldn’t have said it any simpler, we are compelled to forgive. It’s not an option, we need to do it. We must be careful not to say we won’t forgive someone. I had a pastor many years ago, a wonderful man of God, married to an anointed woman gifted with a music ministry. The church prospered under their leadership and God was blessing it then overnight, it all fell apart. The pastor’s wife had an affair with one of the deacons, but to add insult to injury, it was the pastor’s best friend. He could have chosen NOT to forgive, but he didn’t. He did not become embittered. Everyone in the church was in total awe of his ability to forgive. Revenge not only lowers you to your betrayer’s lowest level, what’s worse, it boomerangs. One who seeks revenge is like a fool who shoots himself in order to hit his enemy with the kick of the gun’s recoil. Revenge is the most worthless weapon in the world. It ruins the avenger, all the while confirming the enemy in the wrongdoing. All of this is the beginning of a root of bitterness. And what strange things bitterness can do to us. It slowly sets, like a permanent plaster cast, perhaps protecting the wearer from further pain but ultimately holding the sufferer rigid in frozen animation. Feelings and responses have turned to concrete. Bitterness is paralysis. Bitterness is a cyclical, repetitive, tightly closed circle of self-centered pain. It carries us around and around the same senseless arc, around and around ourselves. Like a child learning to ride a bicycle, knowing how to ride but not how to stop, we pedal on and on, afraid to quit, yet wishing desperately for someone to come and take the handlebars, break our circling, and let us off. Bitterness is useless. Repayment is impossible. Revenge is impotent. Resentment is impractical. Only forgiveness can reconcile the differences and restore healing to a relationship. God knew that we could not hold to offenses because offenses will eventually take hold of us. I am proud to report that my Pastor NEVER carried unforgiveness or bitterness. He befriended and continued to pastor the man he trusted most and who’d hurt him most. Although his marriage failed God blessed him years later with a wonderful woman of God who stands with him in their ministry. He has been blessed beyond measure. But would this have been his outcome if he’d held to unforgiveness? If he’d nursed his pain? Rehearsed his revenge? No, God said we must forgive, and in doing so we can receive healing. Let’s not hold offenses and be locked to the past. Let go and allow God to intervene. Alexis: Lucy’s grandmother described you as a “tall drink of water.” How do you feel about that description? Tom: Well, I’ve been called worse. (chuckle) In the South, we have lots of descriptions for different kinds of people. At 6’2”, I do tend to tower above most people, especially Lucy. She’s a tiny thing. Alexis: Describe your relationship with Lucy. How did you meet? Why did you become friends? Did you ever want to become more than friends? Tom: I figured you’d get around to Lucy. I met Lucy the same summer my best bud, Jared, met his fiancée, Sarah. Apparently, they decided that since we were constantly trying to fix them up with other people, it was their turn. We hit it off instantly. Our first outing, with Sarah and Jared, was to look for furniture for Sarah’s beach house. When we both gravitated toward the massage chairs, I knew she was pretty special. We went out another time, just the two of us, and I just had to kiss her. Yeah, I’d say I wanted to be more than friends. Alexis: Why did you and Lucy go eight months without speaking to each other? Tom: That was a rough time. When Lucy left, I fully intended to keep in touch, especially since her best friend was going to be living here. I started making all kinds of plans. My dad had passed the year before, suddenly, and my mom, Charly, my kid sister, and I were slowly getting back to normal. We went on vacation together, and during that vacation, Mom started having headaches. When we got home and she was diagnosed with a disease that would eventually blind her. I felt like I had to put all my attention on taking care of them, along with my job. How could I ask Lucy to take on not only me, but my family? We’re not well-off, and I guess my pride wouldn’t let me pursue her. Alexis: Your Mom said that Lucy makes you “stammer like a school boy”. Has your Mom always been so insightful? Clearly, she knows that you like Lucy. Alexis: Were you nervous about Lucy meeting your Mom? How did that go? Tom: Since I know my mom, I don’t think I was as nervous as Lucy was. As soon as they met, my mom hugged her and we all laughed when she said, “You’re a little woman, like me.” They’re two peas in a pod, now. Mom, Charly, and Lucy like to gang up on me every chance they get. I fuss, but they see right through me. Alexis: Why does Lucy “amaze” you? Describe her best qualities. Tom: How do you describe someone who shows up to work on a roof in a pink toolbelt? She makes me laugh, keeps me grounded, and pulls me out of the muck of overwhelming responsibility, making me trust God more than myself. Alexis: What is it about Lucy that makes you want to date and maybe even marry her? Tom: She pulls me out of myself, if that makes sense, and makes me think I can accomplish anything. Alexis: You’ve said that Lucy was “everything” to you but she could never know it. Why not? Tom: When I met Lucy, I wasn’t thinking about the future, or about our different backgrounds. I just knew she was Sarah’s friend, and a lot of fun. When she left I learned more about her from Sarah, I realized that she was far above me, socio-economically. I couldn’t ask her to take on a small-town detective with a blind mother and a teenage sister. I didn’t want her, or anyone else, to think I needed help. Alexis: When your mother was diagnosed with an untreatable illness, you pushed your career dreams aside. What did you want to do for a living before your mother’s illness and what do you want to do now? Explain. Tom: I guess my career path really changed earlier than Mama’s illness. I graduated from Clemson University and planned to go into the Air Force, then segue into working for the FBI. That was the dream. When it came time to get out of school, money was tight, and I put off entering the Air Force and started working with Jared on flipping houses. I got on with the local sheriff’s department, thinking I could still train for the FBI. When Dad died, I knew I needed to stay closer to home. Then Mom took sick, and I put it behind me. The FBI, or even the South Carolina Bureau, would have me living away from here, and Mom and Charly need me. So, I’m happy to be where I am. Who knows? Maybe I’ll be sheriff someday. Alexis: Why did you feel that God’s mercy is for everyone except you? Tom: This is part of my selfish desire to be in control. I was bitter about lots of things. I’ve seen God work in other people’s lives, and I really think I tried to turn off that part of me that would listen to God’s “still, small voice.” I have to say, God’s shown me, through my friend Jared, that sometimes when it seems like God’s not paying attention, he definitely is in control, showing mercy all around you whether you’re paying attention or not. Alexis: How have your own issues affected your outlook on life? Tom: Definitely. I was always pretty serious, but able to see the bright side, until Mom’s illness. I got angry. It’s funny how trauma can turn the tables. When I saw Lucy’s grief, and Jared’s traumatic events, I had to be positive, for them. I had to be supportive. Those things have made me a better person. Alexis: How did Sarah’s wedding—and a hurricane—bring you and Lucy together? Tom: See this smile on my face? Yeah. The wedding that almost wasn’t, and the hurricane that threw us all for a loop? Those are events that I’ll always hold close. They were terrible, but as with most tragedy, God used them for good. All these events forced Lucy and me to spend more time together, and it made me stop and listen to God. You can’t have a better outcome than that. Tom: God is love. God is mercy. God doesn’t punish us, He leads us. And on another level, God gives us the people around us to draw us to Him. We just have to be willing to listen. Alexis: Thanks for the interview, Tom! Do you have closing comments? Married for 30+ years and active in their church in Marion, KY, Regina and her husband have two grown daughters who share her love of music, writing, and the arts. Devotionals for the Heart: "What If?"